The Crystal Report can create powerful, richly formatted, dynamic reports from virtually any data source, delivered in dozens of formats, in up to 24 languages. A robust production reporting tool, SAP Crystal Reports turns almost any data source into interactive, actionable information that can be accessed offline or online, from applications, portals and mobile devices. 2) The Network Service identity is missing on the 'Application Pool'. Make Sure Crystal Report Version is already installed on the server. By Default when a domain is hosted through Plesk control panel it creates a separate application pool for it and the user to launch its application pool is set to “IWPD_domain”. So to resolve the issue either one has to change the application pool Identity to “Network Service” and set inheritable NTFS permission to the “Network Service” and “IIS_USER” on your web site. 4) Click on 'Advanced Settings' to check the application pool which was already assigned. 5) If your own domain application pool was already assigned >> Go to Application Pool Section on IIS >> Search your domain application pool. 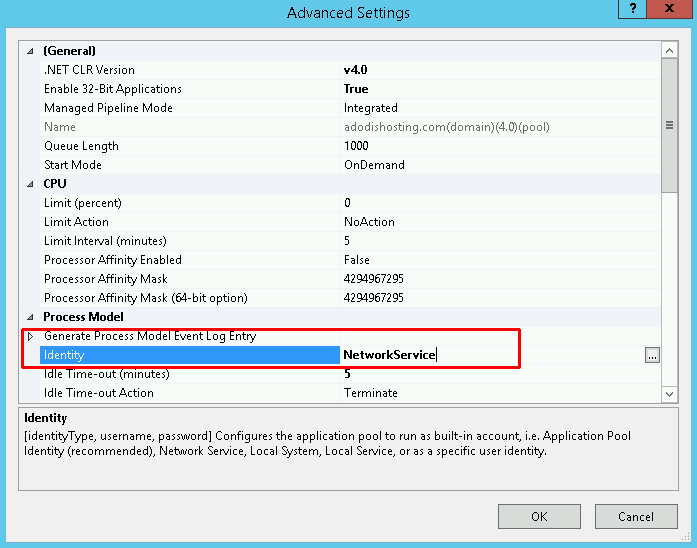 6) On your domain application pool >> Advanced Settings >> Identity "Network Services" >> Click OK.
7) Go Back to your domain and assign 'IIS_USER' and 'NETWORK_SERVICES' Permission. 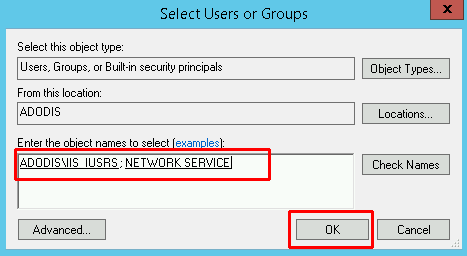 Select ‘IIS_USER’ and ‘NETWORK_SERVICES’ and Click OK. 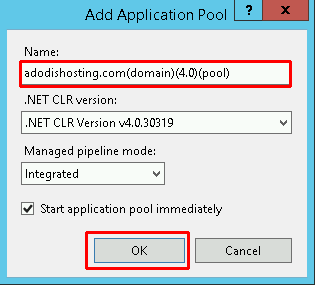 Enter Application name (i.e., example.com(domain)(4.0)(pool)) >> Select the ASP.NET Version and Click OK.
Once Application pool created, select the application pool which is created and click on ‘Advanced Settings’, changes to be done as below. Once it’s done assign the application pool to your domain. On the IIS Manager >> Select your domain India name >> Advanced Settings >> Application Pool >> Select the Application pool which is created newly. 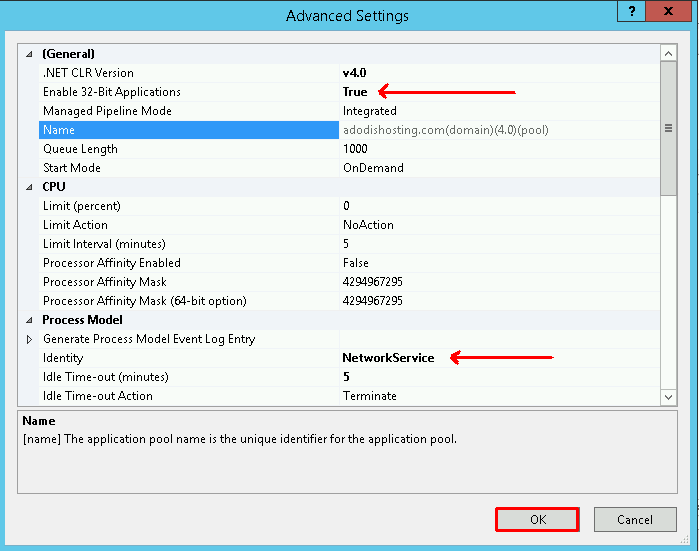 NOTE: The crystal report will run only on “Network Service” Application pool with “Network Service” permission.